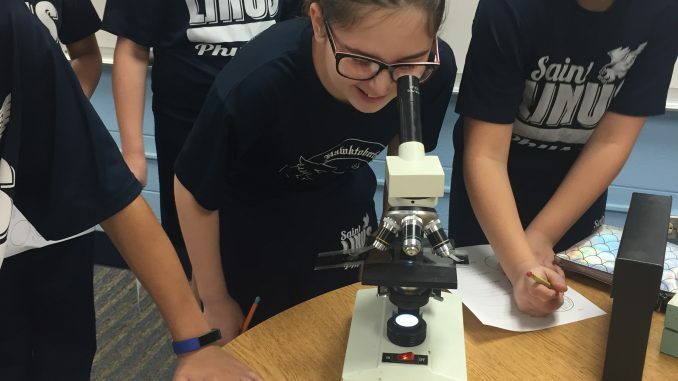 HomeClassroom Activities4th Grade ActivitiesPlant or Animal Cell? 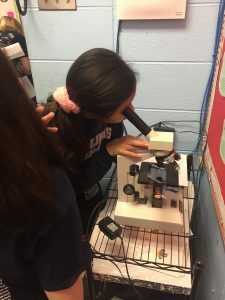 5th grade had a fun time looking at different plant and animal cells under the microscopes. 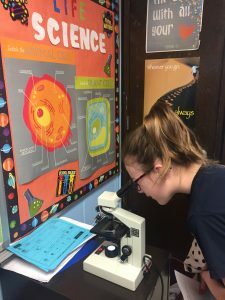 They had to determine with their group what they thought each cell was, based on its color, shape, and other organelles that stood out to the scientists.